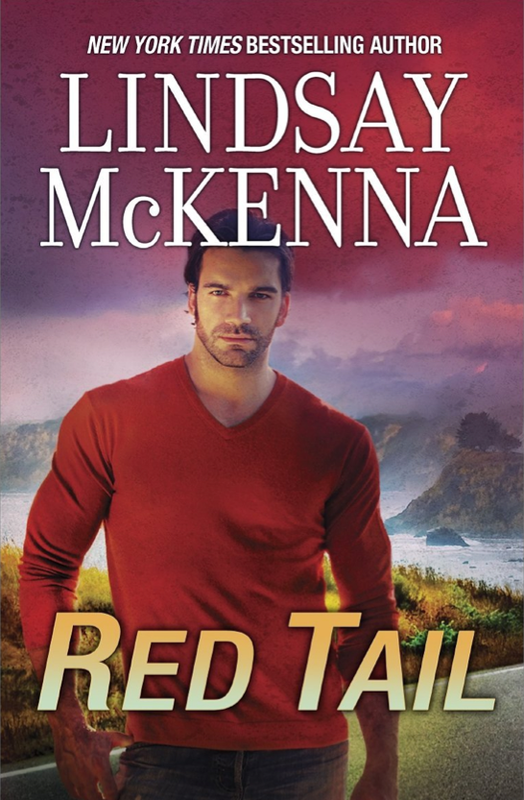 ENTIRE Wyoming Series by Lindsay McKenna now available in audio! 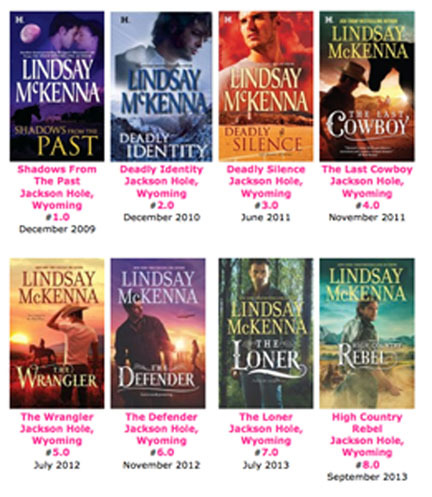 The ENTIRE Wyoming Series by Lindsay McKenna now available in audio! FREE! First chapter of THE LONER in audio! 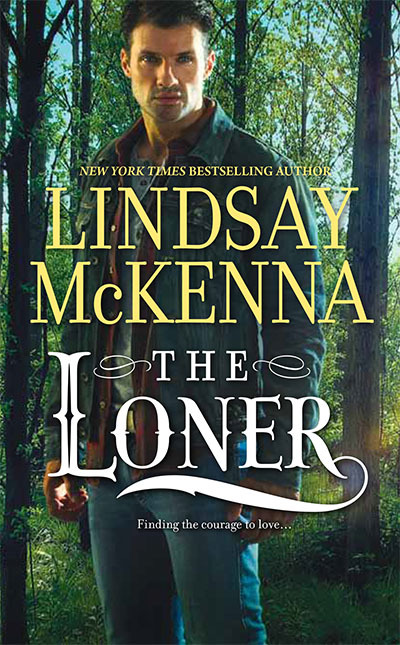 THE LONER is The Wyoming Series in HQN, features an ex-SEAL and a scrappy woman deputy sheriff who are in danger as they track two escape murderers. For those who like my cowboy series with Harlequin HQN, good news! The first eight books of the series are now available! The 2015 releases, titles yet to be determined, will also join the original group as audio books 9, 10 and 11. More on this later! These books have an order and audible.com has notated each book in the series and the order that it should be read. Wyoming Series by Lindsay McKenna, the first 8 books of this ongoing series in audio! DEADLY IDENTITY, HQN, The Wyoming Series, Deputy Sheriff Cade Garner and Rachel Carson’s story. Book #2. December 2010. DEADLY SILENCE, HQN, The Wyoming Series. Casey Cantrell’s story. Morgan’s Mercenaries Saga. (Casey is a twin, youngest of the Alyssa and Clay Cantrell family). Casey Cantrell and Matt Sinclaire story. Book #3. July, 2011. THE LAST COWBOY, HQN, The Wyoming Series. Slade McPherson and Jordana Lawton story. Book #4. December, 2011. THE WRANGLER, HQN, The Wyoming Series. Griff McPherson and Valerie Hunter story. (Slade and Griff are fraternal twins). Book #5. July, 2012. THE DEFENDER, HQN, The Wyoming Series. Katie Bergstrom and Joe Gannon story. Book #6. November 2012. THE LONER, HQN,The Wyoming Series, Dakota Carson and Shelby Kincaid story. Book #7, August 2013. HIGH COUNTRY REBEL, HQN,The Wyoming Series, Talon Holt and Cat Edwin Story. Book #8, September 2013. WOLF HAVEN, HQN,The Wyoming Series. Grayson McCoy and Sky Pascal story. Book #9. December, 2014. WRANGLER’S SECRET, (working title) Jackson Hole, Wyoming, HQN, Gil Hanford and Kai Tiernan story. Book #10, September, 2015. COMING HOME (working title), Jackson Hole, Wyoming, HQN, Dev Blake and Sloan Rankin story. Book #11. December, 2015. Please SHARE this information with friends and family. Thank you! 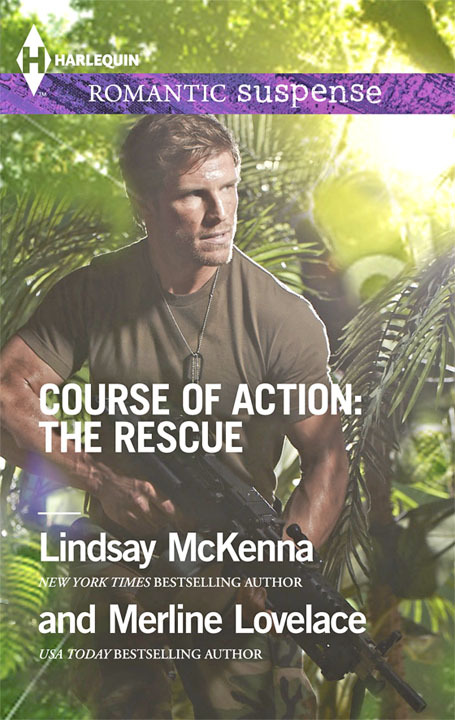 COURSE OF ACTION: The Rescue by Lindsay McKenna is out 9.1.2014! Course of Action: The Rescue, is book 2 of Merline Lovelace and my series about black ops heroes! Getting to write with my good friend and sister military vet, Merline Lovelace, is always a thrill. This is book 2 of 3 on our two novellas in each book series. We have three books, total, in this six-novella series. This is Book 2. Course of Action was an idea created by myself and Merline Lovelace for Harlequin Romantic Suspense. There will be three books, one coming out each year, 2013, 2014 and 2015, with connected stories (novellas). She is a sister military vet and been a long-time friend. I came up with a concept of us doing a novella each (35,000 words in length) on the black ops community. She was an Air Force Colonel and was the first woman to run an Air Force Base (and showed the boys how to do it). I was in the US Navy. I had a secret clearance and Merline a top secret clearance. Both of us dealt in the black ops of the secretive military side that civilians don’t get to see. We wanted to do a sort of show-and-tell on the different black ops communities because each is different in their own, unique way. For example, if it’s got to do with ocean, the the SEALs are called from the US Navy. There will be stories about an Air Force combat controller, US Navy SEAL, Ranger, Army Special Forces, Marine Force Recon and Delta Force. We chose to do six novellas, two stories about two of the men in each book. This series will be released by Harlequin Romantic Suspense once a year. In Book 2 of the 3 series, it is titled COURSE OF ACTION: The Rescue. Here’s a peek at our next two heroes who are both down in the Amazon looking up trouble! Or maybe I should rephrase that and say, Trouble hunts them up! 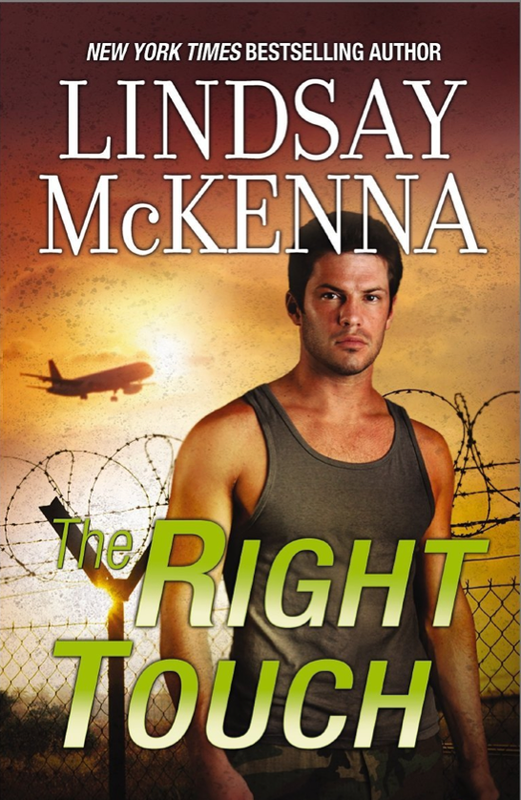 JAGUAR NIGHT by Lindsay McKenna brings a novella about Sergeant Josh Patterson, Marine Force Recon. When a U.S. General’s daughter is kidnapped, Patterson is handpicked to rescue her. While they trek through the jungle to safety, Aly Landon’s strength and a surprise kiss change everything. US Navy Chief Charlene “Charley” Dawson deftly commands the Riverine patrol boat taking an arrogant US Delta Force Army Sergeant on a very personal op. As she and Jack Halliday penetrate deeper into the Amazon after a rogue ex-pat, they face danger…and unexpected attraction. We hope you enjoy our second offering in this series! Do let us know! 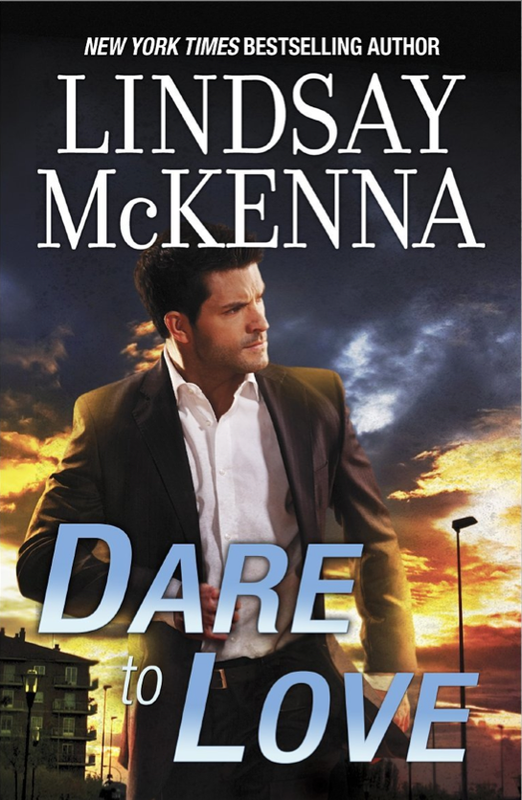 You are currently browsing the Lindsay McKenna blog archives for August, 2014.